Attorney Nelligan has been practicing law in the Northwest corner of Connecticut since 1984. He is a native of Winsted, Connecticut, and lives now in Colebrook with his family. 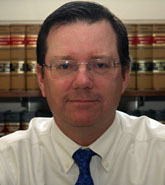 Mr. Nelligan graduated in 1981 from the University of Connecticut as an Honors Scholar and from the University of Connecticut School of Law with Honors. He was admitted to practice law in 1984 and has been also admitted to the Federal District Court and the Second Circuit Court of Appeals in New York City, and the United States Supreme Court. Attorney Nelligan is a member of the Connecticut Bar Association, the Litchfield County Bar Association and the Connecticut Municipal Attorney's Association. Attorney Nelligan has been appointed by the Connecticut Judicial Department to serve as an Attorney Trial Referee and an Attorney Arbitrator. Mr. Nelligan has served on many local land use boards and is active in the community. Corinne Hammond started as a legal secretary in 1985 and became a Paralegal in 1995. She has worked with Attorney Nelligan since September, 1993. 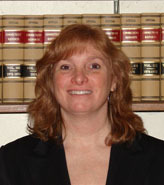 Corinne has extensive training and knowledge of real estate transactions, estate matters, and all matters of litigation. Corinne is a member of the Litchfield County Legal Professionals Association, the Board of Directors of the Canaan Child Care Center, and numerous local charities. Corinne is known for her calm and reassuring demeanor that our clients most appreciate in dealing with stressful legal matters.